AS we all know, summer in the city is hardly the greatest setting for achieving healthy, glowing skin. The increase in heat, dust and sweat wreaks havoc on our visages. 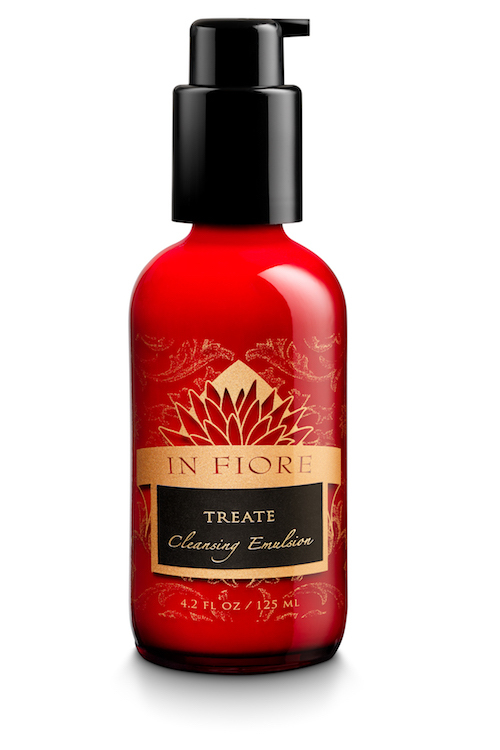 Thankfully, In Fiore has the answer with its impressive 4-2-4 cleansing method. The luxury botanical beauty line founded by Julie Elliott has amassed a huge following over the years since its founding in San Francisco. While green beauty trends have continued to grow in recent times, In Fiore was one of the first advocates for natural, high performance skincare. The company promotes 100 per cent natural, ethically sourced botanicals to create its serums, creams and oils, all of which are preservative-free and devoid of synthetic fragrance. So, what’s the 4-2-4 cleansing regime? Elliott took her inspiration from the immaculate beauty rituals in Asian cultures, where a quick swipe with a wet wipe doesn’t quite cut it. There are four products in the In Fiore routine which are used in a precise order. 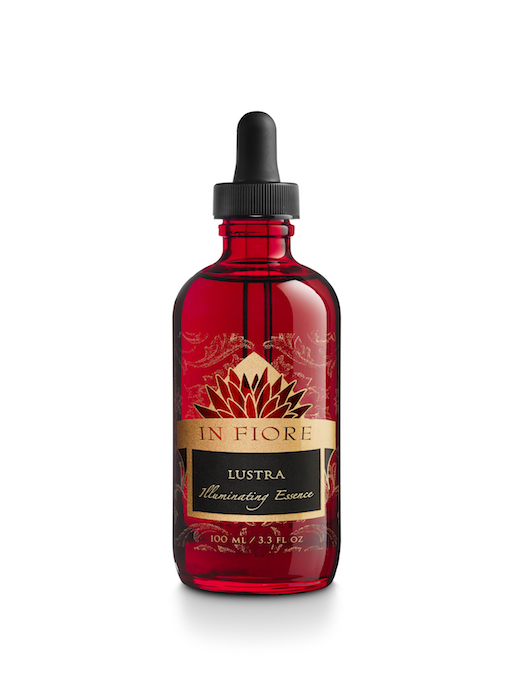 To start, the Lustra Illuminating Cleansing Essence is massaged all over the face for four minutes. It is a weighty golden oil made from fatty acids and gets right down into the pores to remove all dirt. It also smells heavenly. Next up is the Treate Gentle Cleansing Emulsion, which is a lighter lotion that is applied straight onto your oiled face. The creamy white emulsion, as its name suggests, is great for sensitive skin, as it does not strip the skin of its natural oils. This lotion is massaged on for two minutes, after which the skin is rinsed for a further two minutes first with warm water, and then with cold water. The change in temperature helps to boost circulation, and certainly feels refreshing. If you’re not used to what feels like quite an extravagant routine, the only thing to say is that it truly works. In Fiore’s layering technique, plus the attention to spending time rinsing the products off, results in clean, soft skin that doesn’t feel sqeaky or tight. Rather, all the dirt gets pulled out while leaving a beautiful, natural skin texture. 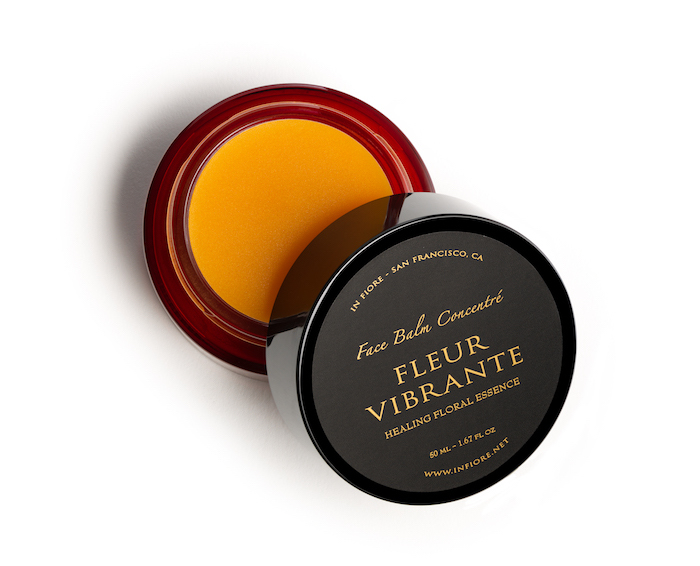 The routine is finished off with Fleur Vibrante Face Balm Concentré, the most gorgeous-looking bright orange cream that is packed with healing beta-carotene. It’s a luxurious dense texture that melts easily on application, creating a healthy glow. A spritz of Vitale Toning Floral Essence is turned to for the final touch, to close the pores and lock in moisture. Most recently, In Fiore launched its Made In Japan range, which develops its ongoing interest in Asian beauty sources. The comprehensive range focuses on anti-aging plant therapies and was developed in collaboration with leading Asian manufacturer Albion, who runs extensive research and development laboratories. Made In Japan, which includes the Brilliance Cleansing Balm and Transparence Botanical Beauty Concentré, are created from specialised formulas that contain Chinese plants such as lychee seed, jujuba and hawthorn fruits, and osmanthus flower and red algae. The star of the range, though, has to be Sauvetage, which is already beginning to make waves. This replenishing serum is grounded by the powerful properties of freshwater blue-green alga, which grows only in the pure spring water area of Kyushu island in Japan. Stressed, unbalanced, reactive skin? This is your answer. As In Fiore continues to show, the power of plants is real. For more information on In Fiore visit their online retail store and Instagram.